2016. A year on the move. Gone so soon! I can’t believe it’s the end of February 2017 and I’m still writing 2016 as the year. The year started in Milan, Italy with New Year’s Eve celebrations in the square in front of the Duomo. We had asked a lady working at our backpackers what was happening in the city, and she suggested this free concert with her favourite band. Sounded great. Well. Don’t always trust that someone who works at a backpackers will have the same taste as you. Gail, Lisa and I had done our own walking tour of Milan, had dinner in the Navigli District then arrived in the square sometime after 11pm, in time for the countdown. There were thousands of people filling the square with many police and emergency personnel on duty. The band were some real heavy metal rock bunch wearing black and screaming into the microphones in Italian. Not what we expected. Or what we liked. Nonetheless we waited around for the countdown. At midnight, there was great excitement from all around. We were expecting a fireworks display or something spectacular, however due to the recent bombings in other European cities there was no show. Fireworks were being set of by partygoers in the crowds – rather scary. 5 to 10 minutes after midnight we made a hasty retreat back to our backpackers to our beds. It had been a long evening and we had another big day ahead of us. 1 January included a lot of travel – a 6 hour train ride from Milan to Grenoble (and some sightseeing in Grenoble). This was all in preparation for our great ski trip – 2 to 9 January 2016 skiing in Val d’Isere (France) with many favourite old friends Giles, Isla, Mary-Anne, Andrew, Graham, Greg, Gail, Lisa and myself from Joburg and Karen, Grant and Nick joining from London. We couldn’t have wished for a better week. Winter wonderland skiing, a quaint town, plenty to keep us busy and the best company. 11 of us stayed in a chalet serviced by 2 chalet girls who cooked and cleaned for us. Sadly, the ski trip came to an end all too soon and we said our teary goodbyes. Gail and I caught a train back to Milan and spent one more day in Milan sightseeing before heading back home. If you every find yourself in Milan, I can highly recommend visiting The Fondazione Prada and 10 Corso Como. I put a little video together for this holiday, you can see it here. Monday 16th May 2016 marked a huge milestone in the Pilcher household. After 29 years of living in Methwold Road we left a beautiful old house behind and moved to the northern suburbs of Joburg. Mum and dad to one of Waterfall’s white-picket-fence ‘mature living’ estates and myself to Khyber Rock. It’s amazing how much stuff one can accumulate in 29 years. The pre-move clear-out took many months of work, which started towards the end of 2015. Couches, beds, glasses, cutlery and just general stuff were sold, donated and distributed all round. Many times we thought there was no way items would fit onto bakkies, however where there’s a will there’s a way! Making my house a home was my biggest project of 2016, and is still in progress today. The garden took the most effort (from paid help – a team of strong men, not from me). This is where it began: cracked jacuzzi, overgrown, dinosaur poo fake rocks etc. And this is where it is up to today: light and manageable. No plugs in the kitchen except for one behind the washing machine under the counter. Not sure what the previous owners did about power to the fridge, kettle, microwave, toaster or any other appliance??! The garage floor was tiled and when it rained my car’s tyres slipped, the brakes went crazy and it would not go into the garage. So I had the paving outside dug up, some tiles cut back and now there’s no problem anymore. The majority of the lightbulbs in the house did not work. Did you know when you buy a house, if the lights don’t work on the show day, they don’t have to be working when you move in. No obligation to give bulbs, just a working fitting. The oven tripped the power every time it was turned on, which was a unit problem, not a connection problem, and therefore also not an obligation of the previous owner to rectify. Oh yes. After a few months of living at The Paddock and having had the oven fixed, there were some evenings of strange burning smells coming from the oven area when cooking (not the food). The burning smell would overwhelm the whole house and it was unbearable. I called the Defy technician back (it couldn’t have been more than a month since he fixed it), he said there was nothing wrong with the unit. It just needed more ventilation and I could continue cooking as is until I had time to fix the ventilation issue. The next time I cooked the burning smell from the oven was vile (food cooked fine). Just before going to bed, all doors still open desperately trying to clear the burning smell and a few lights on, I noticed some smoke coming out from between the oven and counter top. The oven had been off for more than 2 hours (it was an old unit with no built-in cooling system). I called complex security who came to this damsel’s rescue. We pulled out the oven and discovered a burning counter below. A splash of water quickly put out the fire. The Defy technician returned a day or so later and was still adamant there was nothing wrong with the unit. A word of advice, check the oven on show days. 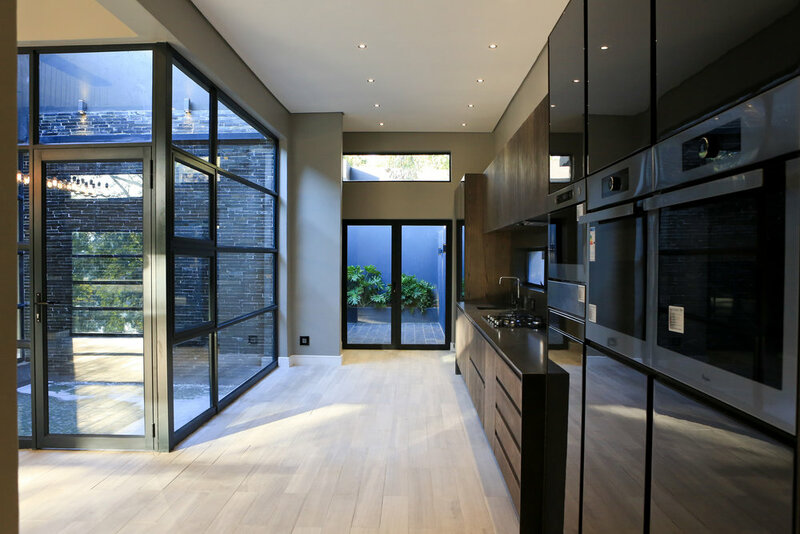 A former colleague (Cecil Cameron)'s completed home renovation (before styling) – he has started his own company and is doing great things. Recording our Methwold Road home. It will probably be a while before I look at these photos, but a great reference for a privileged upbringing. 2016 was a very busy year at ILS, with plenty travel between Joburg, Cape Town and Durban for various projects. For a few months I was flying somewhere almost every week. Very exciting at first, but the 4am wake-up for a 6am flight novelty wears off very quickly. With all the travel, did come time to see friends in various cities around the country and the globe. I managed to spend some time with Philippe, Alice and Jess in Cape Town, as well as Alexia and Mandy in London. I was fortunate enough to be included on the ILS tour to Birmingham in September. Every few years ILS puts together a tour for clients and staff to one of the international materials handling shows, and to view world class facilities in the areas close to the show. Eye opening. ILS has recently become an EOH Company, which has come with many staff benefits, including an invitation to an incredible year-end function at Gallagher Estate. Pre-drinks, dinner, a show, more drinks and an after party. Wow. ILS’s year-end function was also notable. The company met in Cape Town for a day of touring existing ILS designed warehouses, as well as some facilities still under construction, followed by dinner at the Cape Town Comedy Club. The following day we had a morning of conferencing and wine tasting and lunch at Groot Constantia. 2016 was a year of great joy as well as sadness. We bid farewell to mum’s stepmom who passed away in November at the age of 90+. There was also utter devastation caused by the Joburg Floods on 9 November. These photos are from the banks of the Jukskei River within the Waterfall Estate. Concrete pavers and half a bridge were washed away. Unbelievable. On a happier note, Seoras entered the scene during the first quarter of 2016. 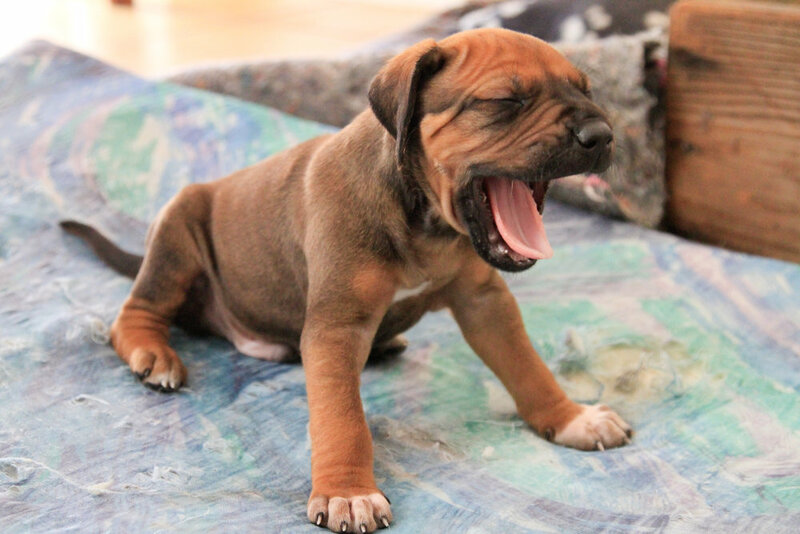 His family’s Ridgeback had the most beautiful puppies. I turned 30 (and so did many friends). Some friends and I had a minibreak to Isinkwe Lodge in June, and we ended the year on the Natal coast. Just as the year had started with friends, it ended with new friends – a few days in Ramsgate followed by a little time in Umhlanga and a countdown on the beach (no screaming-in-Italian heavy metal band)... but there were a few (scary) stray fireworks..